You know I normally do one post with several makeup looks featuring one palette and then the review with swatches and all the tea on Wednesday, but with this cute little palette I decided to do it all in one. When the Gemstones collection by Huda Beauty was released I knew I needed to pick up one. Those of you who know me are probably not surprised that I was struggling to choose between Sapphire (the blue one) and Emerald (the green). The result of my decision is obvious I guess. I wanted to start with one and see if I wanted to pick up more. I have already the Desert Dusk palette which I really like the quality of, and the Rose Gold Textured palette (old version) of which I despise. So I wanted to try one to see if I found it worth my money to pick up more. The palette really is teny tiny! It fits in the balm of your hand but still holds 9 eyeshadows with 1.1 g each! That’s quite a lot of product in one small package. I absolutely love the small and handy size. We all like to pull out the “travel-friendly” argument, but truth is that I rarely travel, and when I do I tend to bring what the heck I want anyway. But it does indeed fit in a small makeup bag. The color story is really nice. Especially for me who are a sucker for green eyeshadows. I made these two looks with the palette to test out every shade. Unfortunately the shades does not have names, I guess that’s one of the compromises one does to get mini sized palette. So to explain what colors i used I used a numbered grid system. The second shade on the top row is 1:2, the second shade on the second row is 2:2. You get the picture! Huda Beauty Emerald Obsession- 1:3, 2:3, 3:3, 1:2, 1:1. As far as I could tell there are three different formulas in this palette. Three mattes, 5 shimmer shades and one glitter shade. The glitter is not a pressed glitter like “Cosmo” in the Desert Dusk palette, but an more foiled shade with a lit of shimmer particles in it. Very beautiful indeed. Two of the shimmers do have tiny flecks of glitter though, but they are so finely milled that I would not call them glitter shades like the 1:1 shade. The mattes are medium pigmented but build-able. Which means they don’t appear as they look in the pan straight away, but you can build in up to the wanted intensity. With the darker shades that went fairly quick, but I needed to dip my brush in the light green matte quite a few times before I was happy with the intensity, so you need a little bit of patience with that one, but you will get there eventually. They seemed to blend well and did not look patchy, so with the exception of needing some patience with the light green they work pretty well. The matte formula is a bit dry compared to Colourpop or Anastasia eyeshadows that are really soft and buttery. They are also a bit harder pressed in the pan which may explain why they need to be built up instead of getting full on pigment in one swipe. That also means that you won’t get much fallout. The shimmers are very pigmented and smooth and applies really nicely! No need to dampen the brush here because you do get full intensity straigh away. However, if you do decide to wet the brush either way the shades look almost foiled. They are indeed very beautiful. They apply smoothly and blend into each other nicely. I did experience that the fine milled glitter in the two shimmer shades that contained small glitter particles fell out under my eyes, so I would recommend doing eye makeup first if you want to do something dramatic with the 1:3 or 2:2 shades. The glitter shade 1:1 I was a bit afraid of. Mainly because of my terrible experience with the textured shades in the Rose Gold palette. This one was nice though. It needed some help with spray, but I didn’t have to apply it with fingers as some of Huda Beauty shadows demand to be applied. I don’t like applying eyeshadows with my fingers so that’s always a con for me. This one stayed clear for that problem. It did have quite a bit of glitter fallout, and will probably do with a glitter primer underneath, but it looks beautiful! The final verdict is that it is a nice little palette. The matte formula is not my favorite and I wish the pastel green would have been a bit more pigmented. It also is an advantage to have a spray nearby to dampen the brush, not because every shade need it, but because the fallout from the shimmery shades are quite extensive and this will help with that issue. You also should avoid doing your face makeup first at least if you tend to be a bit messy like I do. The price of 25£ is nice for the amount of shades that you get, and I love that the palette is so compact and small. Would I buy it again? Absolutely. 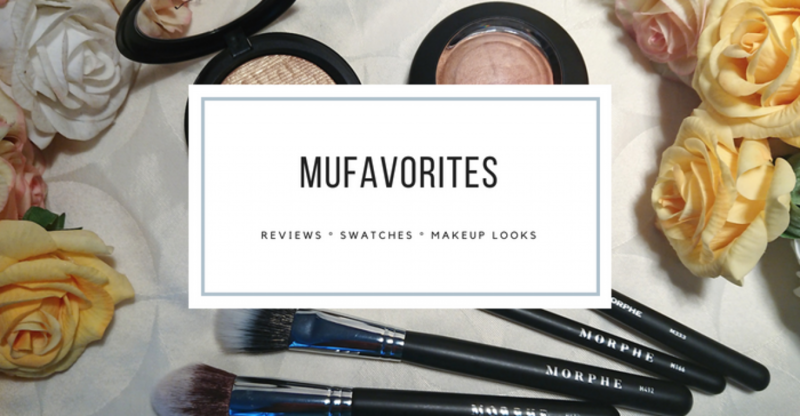 Is it the best eyeshadows I’ve tried. Nope, but they do get the job done and you can get a bunch of pretty green looks with this. I would absolutely not mind picking up a few more of these handy little palettes. Did you try any of the small obsessions palettes? Or if not, which one would you like to try? Revolution Conceal & Define Full Coverage Foundation – Review! If you like greens it could be good ☺️ It’s not the best palette out there though. Those makeup looks are everything !!! Love the eye looks you created. I hear so many good things about these little Huda palettes, I think generally they get more attention than the larger palettes do. The Huda Beauty Precious Gems Collection is something that I skipped entirely last year, since I heard so many mixed reviews. You seem to like it though, but I guess you are also not blown away. So maybe I have to keepß on ignoring this collection 😀 But your looks are sooo beautiful. Green looks are so stunning and you really acomplished to make something beautiful here with this little palette.